The Hebrides of Scotland comprise some of the best locations globally for exploring the links between magmatism and petroleum basins, be it from source rock maturation surrounding sills, sill emplacement and migration, overburden deformation and hydrothermal vents, volcanic reservoir analogues, seismic scale volcanic sequences to sealing potential etc. Few places offer such a range of key volcanic basin features, with the added advantage of an expansive associated literature spanning back over 150 years. 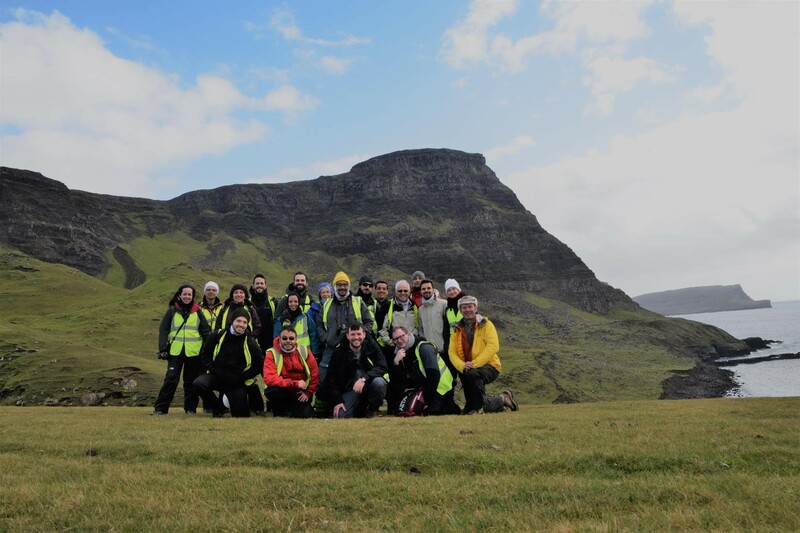 In October 2018 the VMAPP project ran a fieldtrip to the Isles of Skye and Mull for a 15 strong group led by Prof. Dougal A. Jerram (DougalEARTH), Dr. John M. Millett (VBPR) and Prof. Sverre Planke (VBPR), taking in many spectacular outcrops including Berreraig, Loch Coruisk, Staffa and Carsaig Bay. Fieldwork remains invaluable for building a robust understanding of subsurface geology perhaps even more so in challenging imaging and operational settings such as pre-salt, sub- and intra-basalt. In this light, it is great to see the Hebridean volcanics providing key learning for exploration and development in other volcanic basin settings around the world. 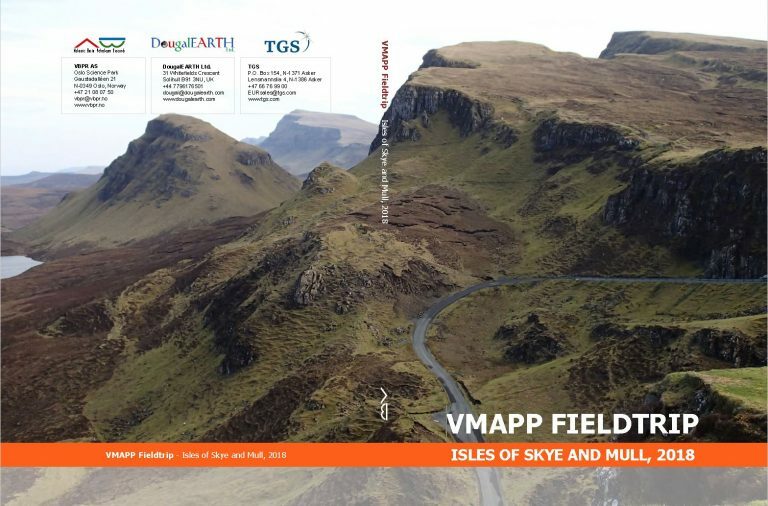 VMAPP fieldtrip arranged by VBPR, DougalEARTH and TGS in 2018. Location Neist Point lava succession, Isle of Skye. We look forward to welcoming the next group to the Hebrides early next year!